PONCE HISTORY: Ponce de Leons' great grandson founded the city of Ponce in 1692. Spanish colonial towns traditionally have a central plaza with a church and casa alcaldía (municipal building). Church and state were the center of any colonial city, socially and economically. Nearly half a billion dollars has been spent restoring the colonial architecture of central Ponce. The central plaza in Ponce dates from the late 1600's and is a national historic treasure with its' plaza, churches, colonial homes and a unique ( 1800's) fire station. Probably Puerto Rico's most beautiful fountain is in the plaza ( although presently under repair). Late afternoon is a perfect time to stroll the central plaza and several nearby streets with their examples of architecture. See' points of interest' below. A few histories of Puerto Rico. Castillo Serralles (Serralles Castle) located near to El Vigia Hill, is a lovely landscaped former residence of the most powerful rum-producing families, the Serralles family, producers of Don Q rum. The Serralles Castle is a magnificent example of Spanish Revival architecture, popular in the 1920's; indoor patio with fountains, beautiful formal gardens paralleling the style of the house, well-manicured flame of jungle plants growing in a pattern that matches the ironwork on the house, completed in the early 1930's. Open Thu-Sun 9:30am-5:30pm, admissions $3.00, children $1.50, groups must reserve in advance, (787) 259-1774. La Cruz del Vigia, a 100-foot observation tower, and view of Ponce and Caja de Muertos. The Museo de la Historia de Ponce (Museum of the History of Ponce) in a beautiful art deco house. One of the finer buildings in Ponce. Tells the story of the Seralles family as well. Located at 53 Calle Isabel. An easy walk from the central plaza. (Closed Tuesdays) 9am-5pm, admission US $3 for adults, US $1 for children, (787) 844-7071. Hacienda Buena Vista also known as Hacienda Vives (Buena Vista Plantation) was built in 1833 originally devoted to growing fruits, converted into a coffee plantation and corn mill in 1845 and in operation till 1937, then restored by Fideicomiso de Conservación de Puerto Rico. All the machinery works (the metal parts are original), operated by water channeled from the 360m Vives waterfall; the hydraulic turbine which turns the corn mill is unique. Located at Rte. 10, Barrio Magüeyes, km 16.8. Open Fri-Sun, tours at 8:30am, 10:30am, 1:30PM and 3:30PM US$5 adults, US$1 children under 12. Reservations are required. Weekdays (787) 722-5882, weekends (787) 848-7020. PONCE RESTAURANTS: Ponce dining includes: 'Lolas'. Lunch and dinner. Good food and right on the historical plaza. After your visit to the Ponce firehouse venture across the street and try some famous 'King's Ice Cream'. 'Cafe Cocina Criolla', Also near the plaza. "Nice ambiance in that it is lively and portrays Puerto Rican culture. Coffee is very good. The food is different as it is typical food , but with sweet tropical sauces. Serves a terrific breakfast too. 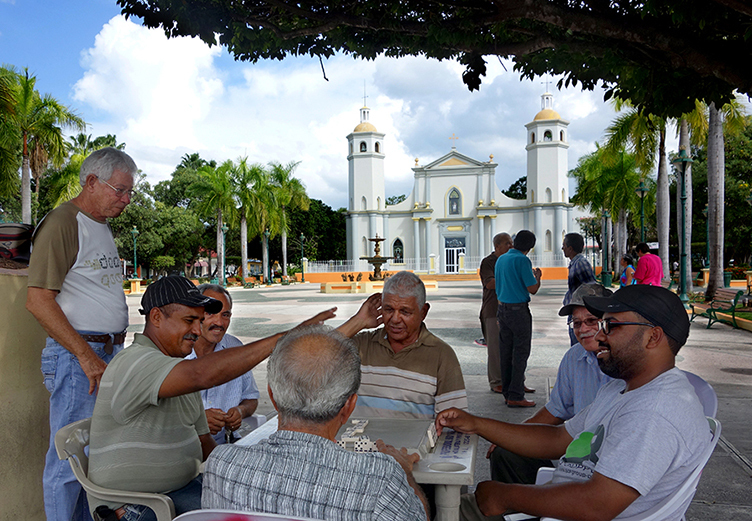 Playing dominoes in the plaza in Juana Diaz. COAMO CHURCH & LOS BAñOS DE COAMO The town of Coamo is the second oldest city in Puerto Rico and third oldest in the Americas.. Now a small town with an excellent example Coamo Plaza and Catholic church. HOT SPRINGS The fee for use of the hot springs is $3. for adults, $1.50 for seniors. They provide lockers, bathrooms, an outdoor shower and security and the facilities are very clean and well maintained. Open until 9 pm. Hot Springs. SUNSET RESTAURANTS SANTA ISABEL Watch the sun set into the sea from the boardwalk in Santa Isabel. There are several excellent fresh seafood local restaurants. You can sit, eat and watch the sunset, if you time it right! SALINAS: There is a little dock and boat La Paseadora ferry operates on weekends and holidays. ( behind Ladi's place) The first boat from the mainland to ' Cayo Matías' is 9am. The last boat back is about 6pm. No set schedule — they wait until there are enough people to make the trip worth it . Call 787-824-2649 for info. Nothing on this pretty mangrove island except a white sandy beach. If you plan to spend some time ( the water is turquoise) you need to take everything with you. It's a popular little island and gets fairly crowded... or just go out and back for the ride. Nice ride through the little mangrove islands. JUANA DIAZ Every child in Puerto Rico ( before the 60's) knew to gather a little grass and place it under their bed on Jan 5th. As the three kings go by on their way to see Jesus at Bethlehem they will let the camels eat the grass and leave behind a gift! To be opened on three Kings Day Jan.6 ( Epiphany) There were no gifts given on Christmas day! Now days the Christmas Holidays last until after Three Kings Day, no one even contemplates work before then! Juana Diaz is one town where the spirit of the 3 Kings is kept alive with a yearly parade ( since 1884) and now has a new 3 Kings Museum. Juana Diaz also has a lovely plaza and church. One of the truly Puerto Rican treasured craft are wooden carving of the three kings ( and other saints ) there are some on display in part of the museum, along with other artwork by Puerto Rican artists. The Cueva Lucero of Juana Diaz ( Lucero Cave), in the mountains above, are known for their size, geological formations, and carvings. Many symbols are Taíno in origin. You must go with a guide, which can be organized through the Juana Díaz tourism office (787-837-2185) and you will need a good flashlight for some of the caves. Gilligans Island in Guanica is another beautiful beach you can only reach by ferry. 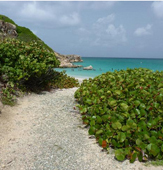 There is a public beach ( with facilities and parking) along the coast and a little further another beautiful beach. The Guanica Dry Forest is an excellent example of a tropical dry forest with many paths. This hike is best in the coolest months of the year. Summers are simply too hot to hike here. LA PARGUERA Scuba, snorkeling and boat rides. The bioluminescence in this 'biobay' is almost gone but the boat ride at night is lovely . You can see the stars at sea. The scuba 'wall' is one of the best dives in PR and the snorkeling is great, many reefs to choose from. 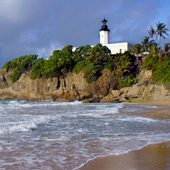 The Cabo Rojo Lighthouse was built in 1881 over limestone cliffs that drop 200 feet into the sea. It is also known as "Faro de Los Morillos". This old lighthouse was automated and electrically charged in 1967. The lighthouse is a spectacular site on a bluff facing the south and west seas. A great day trip to the south west tip of Puerto Rico, there is also a nice little sandy cove to swim in called Playa Sucia. On the east of the isthmus that connects to the lighthouse you can see the evaporation system of the salt flats, as well as piles of harvested salt. The Salt Flats are considered very important for migratory birds in the Caribbean. Around 40,000 birds visit this place every year. The "Centro Interpretativo de las Salinas de Cabo Rojo" has a museum on the history and the ecology of the area. The San German de Auxerre church is gorgeous, with a huge chandelier. It is a beautiful church on an island with many notable churches. Driving South off Rt 2 on Rt 122 to town, watch carefully for the signs which will direct you into the old section of town around the plazas. San Germans old section feels very colonial. 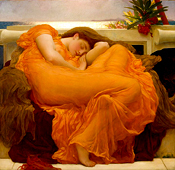 There are examples of English, French and Spanish influences. Many of it’s structures are on the U. S. Register of Historic Places. There is even an old railroad station that used to handle traffic from as far away as San Juan via Mayaguez. That service ended in 1953. GUAYAMA plaza fountain and lovely museum Casa Cautiño. . Guayama plaza church. MAUNABO Past Guayama follow the coast through the Patillas beach areas and on to Maunabo with the very scenic FARO Punta Tuna (lighthouse), off of road #3 and at the end of 7760. Spectacular beaches are not for swimming, the undertows are too dangerous.